It’s the most wonderful time of the year: homecoming. Traditionally held in late September or early October, homecoming events are popular at high schools around the U.S. Faculty and students welcome back alumni with a full week of festivities, and the week often ends with a big dance. Perhaps you’re even lucky enough to have a parade to look forward to. If you’re a high school student, you’re likely making plans for homecoming weekend. If you’re a school administrator, you’re likely preparing for the big dance. Regardless, we have something that will bring your event to the next level: Booking GameTruck San Jose for your homecoming after-party entertainment. 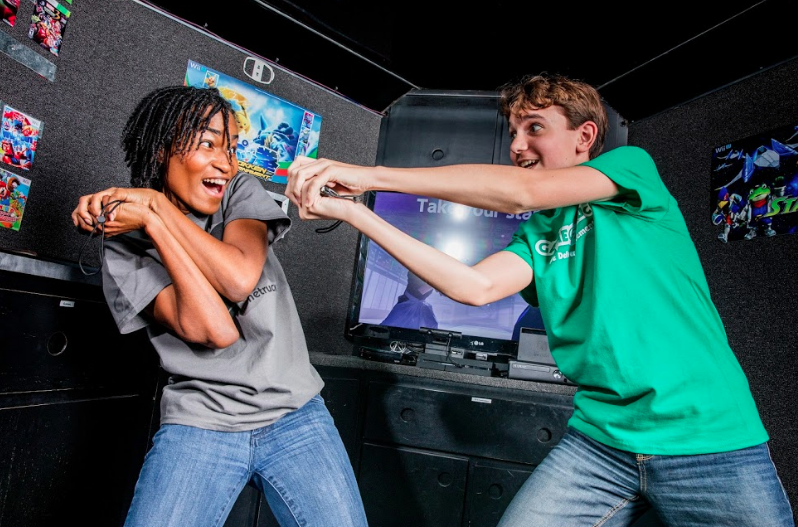 Our video game theaters are state-of-the-art – and did we mention the party comes to you? Because our theaters are mobile, we’re able to make it happen at your event space, whether it’s your home, school or somewhere else. So how does GameTruck fit into homecoming celebrations? It may not seem like gaming and homecoming go together, but it’s actually pretty simple. We provide a fun bonding activity for people of all ages. You may have attendees who don’t want to spend the whole night dancing, and this is a perfect way to make sure everyone is having a blast. Homecoming is a bit like a family reunion. Everyone’s dressed up and ready for fun, and you want to make sure people are having a great time. Our parties are offered in San Jose, Los Altos, Los Gatos and surrounding areas. We offer over 80 video game titles and have the latest gaming consoles, including the XBox One, PlayStation 4, Wii U, and the Nintendo Switch. Invitations are even on us. If you’re planning a homecoming event and want to create an experience your guests will never forget, give GameTruck San Jose a call at 408-691-9144. We’re here to make your homecoming after-party perfect. What Video Games Are Coming Out in 2018?